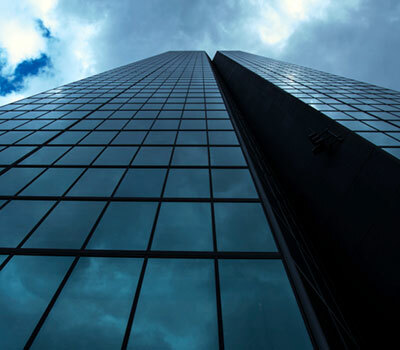 We assist banks and other clients in analyzing, structuring, negotiating and documenting commercial loans. We strive to promptly resolve any issues regarding the optimal structure of the loan, and then to efficiently and accurately document the transaction in a manner which maximizes our client's rights and remedies, and thereby the likelihood of repayment, while acting in the most cost effective manner prudent under the circumstances. We frequently represent banks in modifying and restructuring loans which are not performing well under their existing terms. We also represent clients raising money, in the form of debt or equity, with venture capitalists and other lenders and investors. Establishment of working capital lines of credit and term loans. Commercial lending involving inventory, equipment and accounts receivable financing. Real estate acquisition and construction lending. Modification and restructuring of nonperforming loans. Representation of Bank in establishment of $30,000,000 line of credit, and associated letter of credit facilities, secured by all personal property assets of the Borrower, and a $2,000,000 construction loan to an affiliate. Representation of Bank in extension of $10,000,000 line of credit loan, $12,000,000 equipment term loan, and $4,000,000 term loan, secured by all personal property assets of the Borrower. Representation of Bank in establishment of $8,000,000 line of credit, $2,250,000 reducing revolving line of credit, $3,158,000 real estate secured note, and $1,500,000 term loan, and in negotiation of subordination of $5,000,000 of subordinated debt with mezzanine lender. Collateral for the loan included accounts, inventory, equipment, real estate, aircraft and subsidiary promissory notes. Representation of Borrower in procuring a $200,000,000 term loan to finance a $140,000,000 acquisition and a line of credit to fund working capital needs. Representation of Borrower with respect to $90,000,000 revolving line of credit facility obtained for working capital and to pursue corporate acquisitions. Representation of Borrower in establishment of $20,000,000 revolving line of credit and associated letter of credit facilities, secured by all assets of the Borrowers and Guarantors, and the equity interests of the owners of the Borrowers. Representation of Banks receiving participations in loans ranging from $50,000,000 to $100,000,000. Representation of Bank in establishment of revolving line of credit loans to affiliate borrowers in an aggregate amount in excess of $22,000,000, secured by the note repurchase obligation of the ultimate parent. Representation of Bank in establishment of $14,000,000 revolving line of credit facility, and associated letter of credit facility, including negotiation of landlord waivers with landlords of locations in six states. Representation of Bank in establishing $12,000,000 line of credit loan, associated letter of credit facility, and subordination of shareholder loans. Representation of Bank in $7,990,000 construction loan for 126,000 square foot warehouse and office facility.